Padang, MinangkabauNews -- Padang Mayor says climate change is one of the biggest environmental issue of this century. We are required to work in synergy and help tackle climate change by action quickly, accurately, and take advantage of existing solutions. Mitigating the impact of disasters resulting from climate change, would be a major topic in the problems facing the impact of climate change, to empower the community as the vanguard creating disaster preparedness. 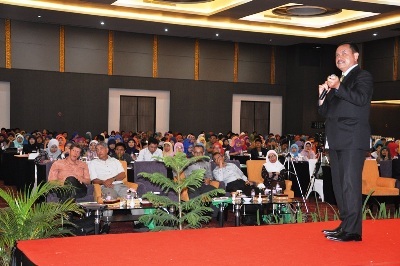 It was announced by the Mayor of Padang DR. Fauzi Bahar, M.Si as a keynote speaker at the International Seminar On Climate Change "Mitigation and Adaptation" Inna Muara Hotel in Padang, Monday (11/3). The seminar was organized by the Geography Program STKIP PGRI of west Sumtara followed lecturers State universities and private colleges in the territory Kopertis X and students STKIP PGRI of West Sumatra. Also attending as a speaker Prof. Dr. Rizaldi Boer of IPB, Dr. Ir. Yetti Rusli, M.Sc from the Ministry of Forestry, Dr. Paul Burgers from Utrecht University, Netherlands. Fauzi explained, disaster mitigation in Padang was also conducted on aspects of regulation, supervision and coaching groups of people who are members of the Group of Disaster Preparedness (KSB) at 104 Village in Padang. In addition, to deal with the threat of tsunami, Pemko Padang had set for the new building that has 2 or more floors of a building to provide shelter to the building. "And now, Padang government is preparing the construction of 100 shelters scattered red zone region," said Fauzi. Added to the threat of landslides and flash floods, Padang government continue to make efforts to "war" against illegal loggers. And sprain greening in the city of Padang. 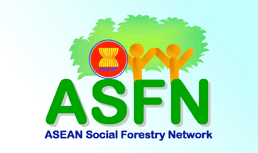 "To combat illegal loggers, are expected information from the public," said Fauzi. Fauzi appealed to the people of Padang to keep the environment, and reduce outdoor activities, given the information from the city of Padang BMKG weather states that reach 32 º Celsius. He saids Like it or not, global warming is real; it is human-caused, and we need to do something about it. There is no more luxury for us to underestimate the impact of human activities to the environment. The frightening part is, since we all interconnected in a global ecosystem, any destruction to the environment will eventually affects every body through what known as the global effect. There are at least three things we can all do and should try to lessen our pressure to the environment – or even prevent future disasters: 1. Repairing the existing damage that has already occurred; 2. Introducing and encouraging the use of alternative energy resources that is clean and ecologically friendly; and 3. Developing green technologies through innovations to conserve natural resources. This Seminar will be focussing on discussing these three points, under the theme: Green Technology Innovations for A Sustainable Society. This International Seminar is organized by the Faculty geography, STKIP Sumbar. In essence, this Seminar is also a manifestation of concerns by the faculty members on the continuing destructions of our environment, and an expression of this faculty to promote the use of green technology in the society. It is hoped that this seminar could help promoting green lifestyle through the use of green technology in this country, and to raise public awareness on the need to be innovative and to produce climate smart processes and products.